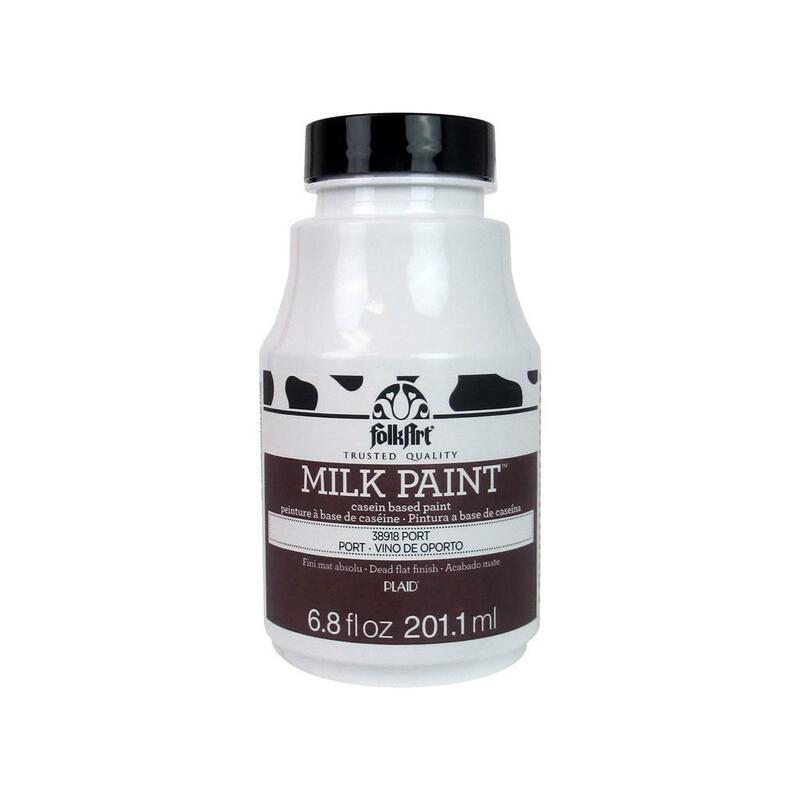 Plaid Craft: FolkArt Milk Paint. This casein-based paint is perfect for vintage furniture restoration and modern rustic decor pieces! This ready-to-use formula brushes as smoothly as a stain but dries to a flat finish. This package contains 6.8oz of Milk Paint. Non- toxic. Conforms to ASTM D4236. Comes in a variety of colors. Each sold separately. Made in USA.